‘America’s Got Talent: The Champions’ recap: Who got Terry Crews’ Golden Buzzer? The finals of America’s Got Talent: The Champions is just one week away and the final ten acts took to the stage on Monday night to earn the final two coveted spots in the finale. The winners of series seven of Britain’s Got Talent took to the stage with a beautiful shadow performance set to OneRepublic’s “I Lived”. They told a nice coming-to-America story and it was truly remarkable. I’ve seen this act on America’s Got Talent in seasons past and they’ve done it much better, so I was not too impressed. The Season 10 runner-up really was a staple for America’s Got Talent and has since become a platinum-selling recording artist. She returned home to perform “Music of the Night” from Broadway’s The Phantom of the Opera. Jackie’s voice has only gotten better with age and there’s no doubt that she’s one of the most successful acts to come out of this entire franchise. The self-proclaimed “real-life Sherlock Holmes” returned to the America’s Got Talent stage and said he wanted to see if he was good enough to win. He had judge Howie Mandel pick a random seat number L3 and a “random” audience member pick a celebrity. The mystery celebrity turned out to be former America’s Got Talent judge David Hasselhoff and the handkerchief in Cloud’s jacket read The Hoff’s name. Now I’m all for magic tricks and illusions, but who are you fooling? This was the most obvious setup and staged trick in AGT history. No one is buying that. 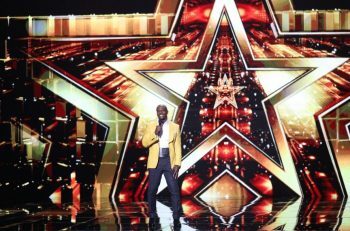 The reigning champion of Britain’s Got Talent took his first steps on the American stage on Monday night. Lee Ridley, who suffers from cerebral palsy, had everyone laughing with jokes about his disability and how people view him. I felt for him and really was proud of him for putting himself out there like that. What a great inspiration! The Season 11 finalist was one of my favorite acts and I’m so glad to see him back. Not many enjoy the old classics anymore, but I was happy to see him perform “Mack the Knife.” He is, and has always been, one of the best Frank Sinatra type acts around. To see him successful and traveling with stars to perform made me smile. The winner of series 11 of Britain’s Got Talent was someone I was truly excited to see. He turned a piano performance of “Clair de Lune” into a full-blown concert and it was truly special to watch. With that said, I do feel Myers could have done so much more with his performance than what he did, but it was still pretty sweet to watch. The sand artist won the very first season of Ukraine’s Got Talent and she told the story of a young arist who grew up, became successful, and forgot their parents before it was too late. It was truly mesmerizing and heartbreaking to watch. Host Terry Crews was so moved that he came from backstage to the judges desk and hit the Golden Buzzer, sending her straight into the finals. The escape artist and runner up of Season 5 of Australia’s Got Talent came to America and showed everyone why he made a name for himself halfway across the world. He performed a death-defying stunt where he was to unlock himself on a spinning wheel while trying to dodge arrows. He eventually got himself free before the wheel was set on fire. I’ve seen danger acts on America’s Got Talent so many times, but this was hands down one of the best. The finalists from Season 9 of America’s Got Talent came back with a rendition of Keane’s “Somewhere Only We Know” that can only be described as angelic, beautiful, and peaceful. There’s no doubt about it: I love this act and would go to their concert if they ever came to my town. They are simply a great talent and one of the best this show has produced. The reigning champion of America’s Got Talent was up last and performed a trick so amazing it had Terry literally bowing at his feet. Shin is one of the best close up magicians I have ever seen and he has been doing well since his win. Let me say this: don’t be surprised if he wins this entire competition. He is that good. Following the performances, Terry returned with the big result. Kseniya Simonova already went through because of his golden buzzer and that meant there was just one spot remaining. It was revealed Shin Lim, Sons of Serendip, and Attraction were in the top three. Sons of Serendip finished third and Attraction was second, meaning Shin advanced to the finals. Kseniya and Shin join Susan Boyle, Preacher Lawson, Deadly Games, Cristina Ramos, Angelica Hale, Paul Potts, Kechi Okwuchi, and Brian Justin Crum in the finals. But wait, there’s more! The two wildcard spots were also revealed, officially making the top 10 a top 12. The two acts coming back are Darci Lynn and former NFL long snapper-turned-magician Jon Dorenbos. 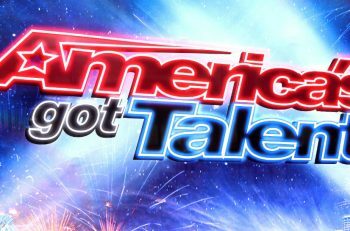 Who do you want to see win America’s Got Talent: The Champions? Let me know in the comments below! The finals of America’s Got Talent: The Champions airs next Monday at 8/7c on NBC.